ePublishing Knowledge BaseePublishing Knowledge BaseePublishing Knowledge Base Creating and Managing Directories & Buyers GuidesHow do I approve or edit a customer-submitted directory listing? Some websites are set up so that customers can submit directory listings. Most ePublishing clients do not allow those listings to go live without first reviewing them. This article will show you how to access pending listings, and approve or edit those listings. Note: On some websites, directories are referred to as buyer's guides. 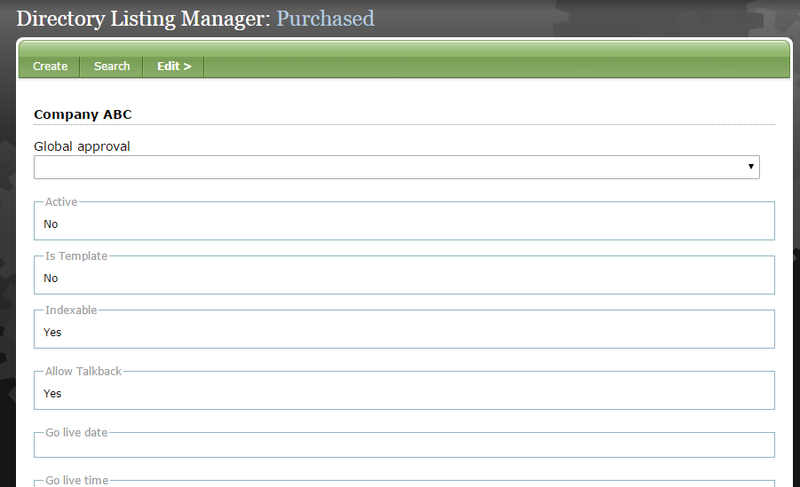 In the ePublishing Admin Tool, you may access these under Directory Listing. 1. 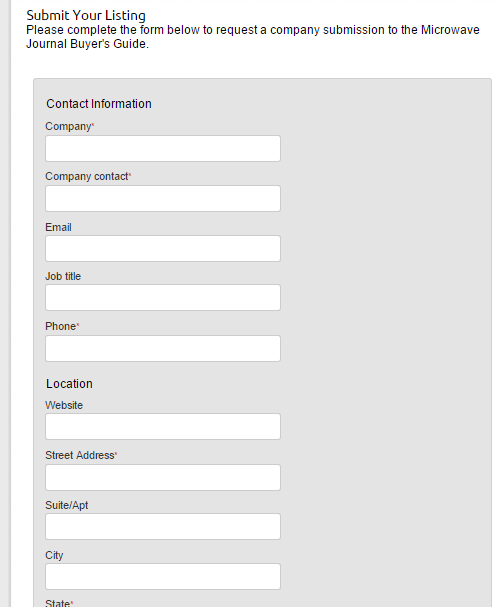 Here's an example of a self-service form for directory listings. 2. Access user-submitted listings (free or paid) by clicking on Purchased in your dashboard under Sales/Marketing > Directory Listing. 3. Click on the Name to view the details submitted by the user. Zoom: Click on the Name to view the details submitted by the user. NOTE: If a new directory listing requires payment, before publishing the new listing verify that there is a matching order in the Order Manager. It is possible that a customer began the process of submitting a new directory listing but did not complete the payment step. In that situation, the directory listing is saved so that the editor can follow up with the customer to complete the order without requiring the customer to resubmit the new listing. Approve the listing within the Listing Manager. Cancel the listing within the Listing Manager. View the status of the listing. 4. After clicking on the name, view the details. Zoom: After clicking on the name, view the details. 5. To approve or reject changes to the listing, click on the dropdown menu under Global Approval. 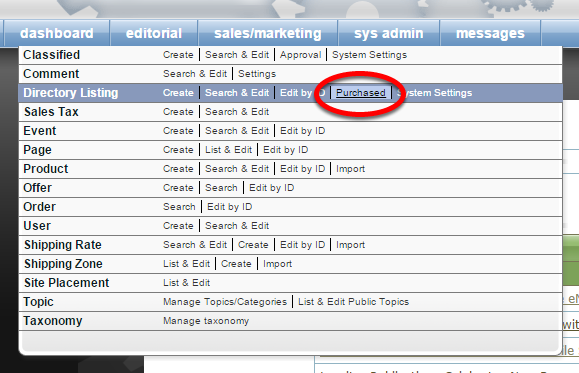 Zoom: To approve or reject changes to the listing, click on the dropdown menu under Global Approval. 6. Click Update pending changes at the bottom of the page. 7. If you'd like to modify the listing, click on General under Edit to access the full directory listing. Zoom: If you'd like to modify the listing, click on General under Edit to access the full directory listing. 8. Edit, and click Save. Zoom: Edit, and click Save. Learn more about creating or editing a listing in the Directory Listing Manager in this article: How do I create a new directory listing? Prev: How do I create a new directory listing? Next: How do I create a new directory category?